Welcome to NashvilleRealEstateNow.com, your one-stop source for Nashville, TN, real estate. Thanks for visiting NashvilleRealEstateNow.com, home of exquisite properties and excellent service. Don’t take our word about Life in Nashville. See what others across the nations have been recently saying about our great city! Nashville, TN is known as the "Athens of the South." Nashville was given this title because of the excellent public schools and universities. The city capitalized on this name by building a full-scale replica of the original Parthenon in Athens, Greece. It is located in Centennial Park in Nashville. Famous for Good Music, Friendly Hospitality and the beauty of the rolling hills. Downtown is well known for entertainment including the Tennessee Titans, Nashville Predators Hockey and the Nashville Sounds. HCA has its executive offices and Centennial Hospital located in Mid-Town. Nissan houses their North American Headquarters in Cool Springs. The Local Economy is strong due to the large number of people movinf to Nashville every day. Nashville and Middle Tennessee are continuously recognized as one of the best places in the country to live, work and play. 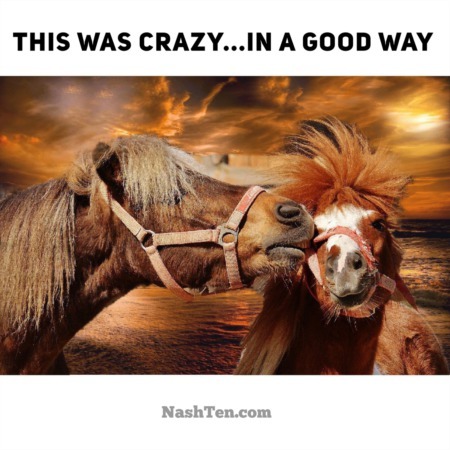 Our Relocation team loves working with people who are moving to Nashville. 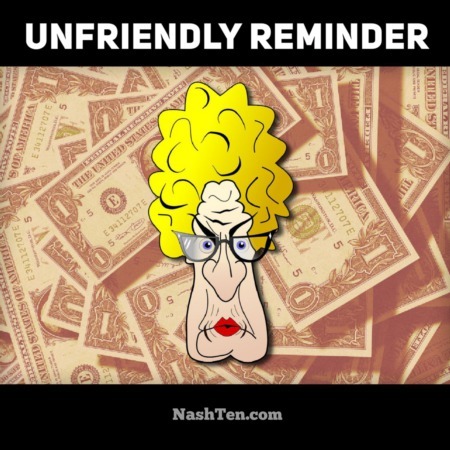 Gretchen is a former Human Resources professional who understands your unique needs and solves tough problems. We love to connect you to others into the community to make it feel like home. We love to show you the special places in each community. No matter where you are moving from, we want to welcome you home to Nashville. Living in Nashville gives you the opportunity to see world class entertainment every night of the week. If you love up and coming artists, Nashville is famous for it's honky tonks and night clubs with live music. Want to see the stars? The biggest venues downtown include the Nissan Staduim, Bridgestone Arena, Ryman Auditorium, Schermerhorn Symphony Center and the Ascend Amphitheater. Nashville is much more than great music. The nation's best Healthcare, Publishing, Tech and Automotive Industries also call Nashville home. Some of the compaines headquartered hear include Nissan North America, CMT, Bridgestone Americas, Gibson Guitar Company, HCA, Louisana-Pacific, Caterpillar Financial Service. If you enjoy the outdoors, Nashville is surround by the natural beauty of lush greenery and the rolling hills of Middle Tennessee. We are fortunate to have 1000's of acres of land set aside for outdoor fun just a few miles from downtown. The jewel of the Nashville park system is Warner Parks with 2,684 acres of temperate forests and cedar glades. Warner Parks is comprised of Edwin Warner and Percy Warner parks, located just 9 miles Southwest of downtown Nashville. 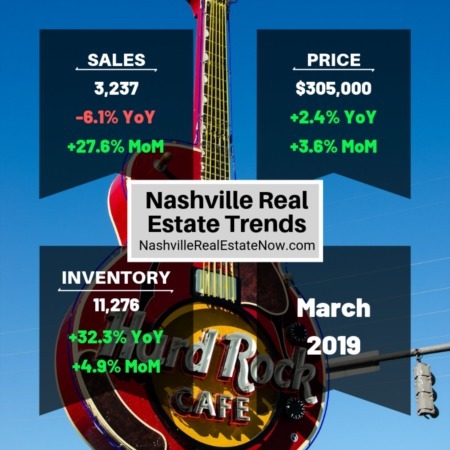 Nashville – Make Your Home in Music City! The Ryman Auditorium is one of the top venues for enjoying a night of music in the country. Originally known as the Mother Church of Country Music, this historic auditorium has transformed into one of the top performance halls in the world while showcasing almost every genre of music. By far, it is our favorite place to see a show in town. If Country is your top choice, I would recommend spending some time at the Grand Ole Opry and the BlueBird Cafe. The Grand Ole Opry is a large venue located near the Gaylord Hotel and features the finest names in country music today. The BlueBird is a small club in the Green Hill Neighborhood of Nashville. This world-famous venue is known for its cozy environment, top songwriters and a chance to see the stars of tomorrow. If you prefer Classical, you will love the Schermerhorn Symphony Center. Opened in 2006, the Schermerhorn is one of the finest acoustic Symphony Halls in the world. The acoustic excellence and the beauty of the architecture will have you hooked on the Symphony. Nashville’s newest venue is the Woods Amphitheatre at Fontanel. The natural amphitheater setting of the valley surrounded by woods and a state of the art sound system make this place a must-hear and must-see venue in Nashville. Fontanel is Nashville’s best kept music secret. Customize your Nashville life by selecting from an array of types of homes. Architecture sets the tone for your life and style. There are many types from which to select. Explore them in person so you can experience the feel of each type. When you step into the house that feels like you, you will know it. When you move in, you will know you are at home in Nashville. The variety of options here are impressive. Historic homes will have you excited to explore antique shops and put your family heirlooms on display. A lot of older homes have been updated to reflect modern needs like storage. Choose from bungalows, cottages, Tudor styles and mansions. You'll find delight in features like open staircases, hardwood floors and welcoming porches. You will have your choice of sizes for your historical gem. Condo options include high rises, balconies, on-site golfing and more. Live in the city and never miss a thing. Nashville is at your doorstep waiting to become your playground. Views of the city lights will dazzle and your favorite things will be within walking distance. With renting as an option, you can have freedom to choose another type of housing later on. You may have downsized from a larger family style home and would like a change. The right flat could be your perfect dwelling space. Mid century homes can have the right combination of charm and modern amenities. Choosing the right neighborhood is as important as choosing the right house. Picture waking up every day and stepping outside into the kind of bucolic atmosphere you experienced as a child. The one-level living offered by a ranch style house is great for families and ease of living. You'll stroll along sidewalks lined by mature trees. New construction also has your needs written all over it. You will be living in a space that reflects all your preferences. Combine features from various types of houses to create your own unique home. There are countless design professionals in the area waiting to break ground on your inspiration. Contemporary designs from world renowned architects are pleasing to the eye. The built-in storage frees up space and makes exciting linear movement the focus. Higher ceilings encourage the eye to roam and the house becomes a living sculpture. Have you ever entered a space that impressed you and you weren't able to explain what made it so grand? Architects understand the visual language that makes it happen. Nashville has homes and construction-ready lots just waiting for you. Explore real estate open houses to see what the architecture looks like from the inside. 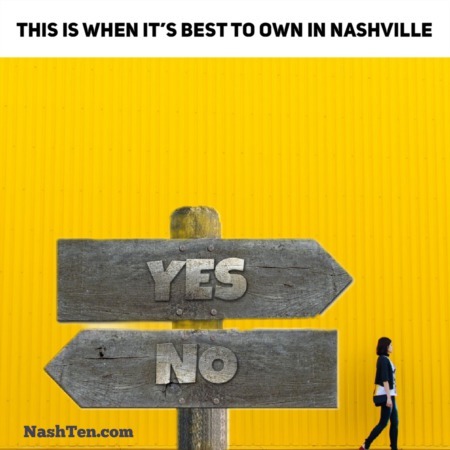 Move into the right house and become part of Nashville. Professionals that know the city and the market will help guide you. 5 Star Review from Zillow: Steve and his wife Gretchen are exemplary members of their profession! When looking to sell my house and purchase a new house with my wife, we considered a number of agents and "interviewed" a small number. Steve answered our questions in a way that made us feel very at ease in dealing with him, and we engaged him to represent us. We were pleased with our decision to go with Steve and Gretchen! Preparing our house to be sold took much longer than I had anticipated, but they were very patient with us and gave us some great advice that I believe ultimately caused us to get offers that were above my asking price! After selling my house more quickly than expected, my wife and I had to move into a rental house as we looked for our new home. Whenever we saw something that we want to see, we would contact Steve, and he or Gretchen would find a way to meet us whenever we needed to show us the new options! Finally, they made our closing as easy as possible and kept up with everything that needed to be done. At no time did I ever feel that there was any chance that something would be missed, as we had the best agents around... If you are looking for a new home, do yourself a favor and talk to Steve--I'm a pretty tough grader, but he gets an "A+" from us! I recommend Gretchen Jolly for all your real estate needs. I was introduced to Gretchen by mutual friends when she was assisting in the sale of their home. In addition to exceeding all their expectations, she impressed me with her professional demeanor and detailed competence. As a result Gretchen was the first person I called when I had real estate needs. Gretchen worked with me on the purchase of my current residence, the purchase of one of my daughter’s homes, and the sale of my mother’s home.Gretchen conducts her business with the highest standard of ethics and ensures the buyer and sellers are treated fairly as if she was one of them. She is the first agent to impress me with her business etiquette as well as her knowledge of the rules and laws for buying or selling your home. This experience makes it easy for her to address and quickly resolve any unforeseen issues or surprises you may encounter in the process.If you are selling a home then you will be excited to know Gretchen does not just list your property and wait for someone to call. She markets your home. She does so by working with you and recommending ideas geared toward improving the presentation of your home, both inside and out. She uses professional photographers to best capture your home’s appeal and publishes the best of these photos. She maintains an excellent referral list of qualified contractors to assist you with any issue you may need to address whether it is to increase your home’s aesthetics (curb appeal) or meet the requirements of a home inspection. Gretchen conducts an immediate follow-up on all viewings soliciting feedback from the viewers and agents and reports back to you as the seller.If you are buying a home, Gretchen has the patience of Job. She will work for you to find the best selections meeting your criteria. Gretchen will show you as many houses as you need to see until you walk in the front door of one and know you are home. She knows the market and will work with you to get the fairest price.If you are buying or selling a home and Gretchen Jolly is not your realtor then you are not using the best agent available and your experience will not be as pleasant or rewarding as mine have been. "Very professional and always there, very knowledgeable and helpful, enjoyed complete success." "Gretchen and Steve are a very successful Benchmark Realty team and are ready to take the "bull by the horns" on our behalf." "I have used Steve & Gretchen to sell a home and purchase one. Their market knowledge, creativity, & connections are extensive. You never feel pushed as their client and receive not only assistance in the transaction, but practical advice throughout the whole process. I now consider Steve and Gretchen friends and would recommend them to anyone considering buying or selling in the Metro Nashville area." "Gretchen was terrific to work with both with the purchase and sale of this home. She was extremely knowledgeable and informative, and with it being the first time both buying and selling a home she was very helpful throughout the whole learning process and experience. She went above and beyond in helping us sell this home and maintain certain aspects while showing, which was much appreciated as we were out of state at the time. She has been very gracious with her time and has offered to help with anything that we needed. She also provided us with local resources each step of the way. We would definitely work with Gretchen again and would recommend her to anyone needing a Realtor." 5 Star Review from Zillow: "I used Steve to purchase a house recently. Steve was the third agent I worked with as I wasn't satisfied with the first two. We looked at a number of houses before I made an offer that was accepted. I closed several weeks ago. Steve's service was outstanding from the start of my search through closing and after. He is a consummate professional who puts his client's interests ahead of his own. He's extremely knowledgeable about all facets of real estate and I will definitely use him again in the future."